We’re excited to announce Zillow for Apple TV is available. As one of the first apps to launch with the new device, we designed Zillow for Apple TV to take advantage of its great features with amazing hi-def images of homes for sale nearby and unique, entertaining video content. Zillow operates the most popular suite of real estate apps — more than half a billion homes were viewed on Zillow from mobile devices in July alone. When Zillow for Apple TV launches, people can access the company’s leading real estate information, including Zestimates, and Zillow TV will provide brand new, entertaining and high-quality video content for viewers on a variety of home-related topics, including unique homes, home improvement ideas and tips for buying and selling. 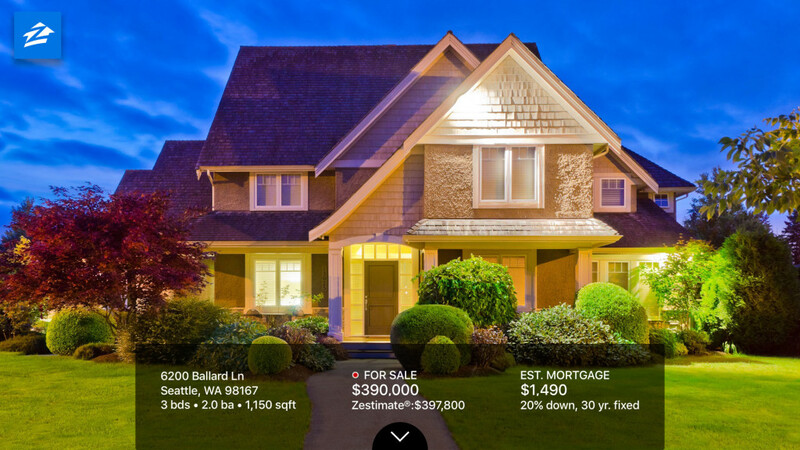 Home shoppers will be able to view gorgeous property photos of nearby for-sale homes, home facts and history, mortgage information and Zestimate details. To save a home, a shopper simply needs to swipe right using the new Apple TV remote. 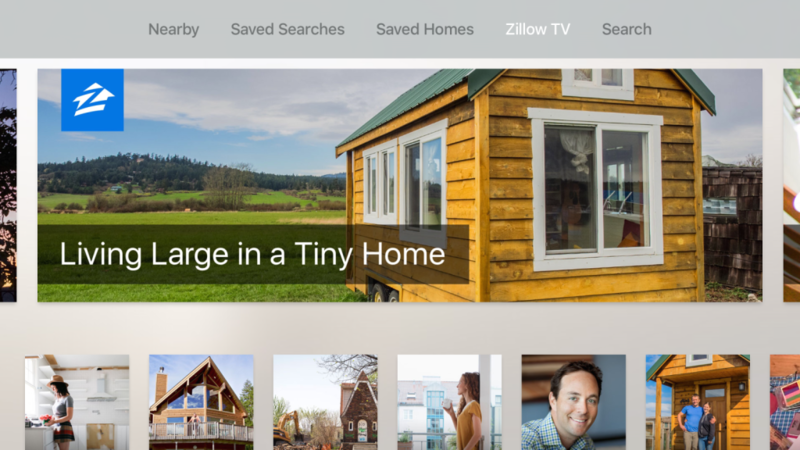 Saved Search and Saved Homes tabs allow shoppers to find details on homes they love, whether they were saved on Apple TV, Mac, iPhone, iPad or even Apple Watch. Saved Searches also show price cuts and new listings as soon as they hit the market. 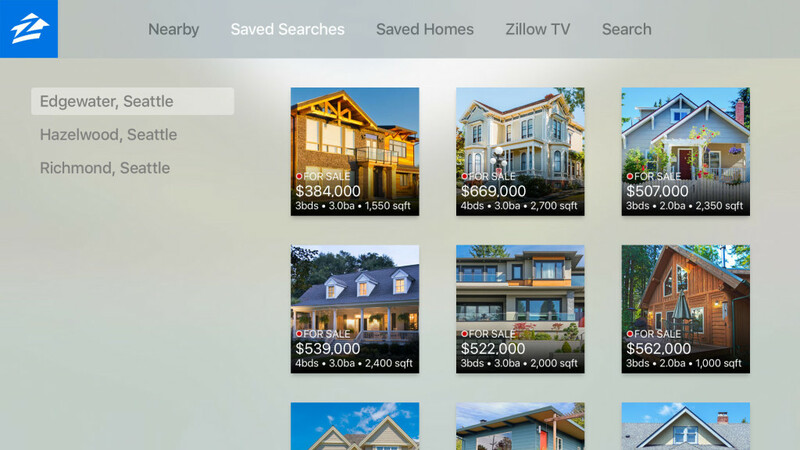 Zillow for Apple TV is available now for Apple TV owners in the App Store for Apple TV.